SHORE VIBES: THE INSPIRATION FOR A LOCAL BUSINESS – ShoreTV New Jersey – Watch It, Live It, Love It. 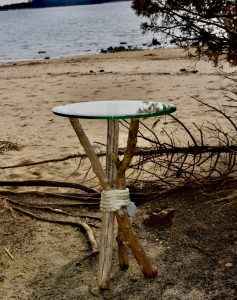 This picture is of a table that I made out of driftwood that I collected while walking along Sandy Hook beach and Raritan Bay. It’s a simple piece, but it really encapsulates the essence of the Jersey Shore. The Jersey Shore is an amazing place; it is a place for fun, for relaxation, for education. For me, I see the shore as a source of inspiration. I am a woodworker who thrives off of the fruits of nature. Every day, I go to the local parks and beaches collecting various pieces of wood that catch my eye. 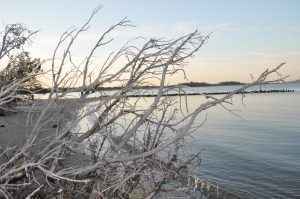 Most people would see a discarded branch or piece of driftwood and see it as nothing more than debris. I, on the other hand, see something more significant. I see potential in everything. When I see a waterlogged plank, I see a table; when I see a moss-covered log, I see a bench or a chair. Why did I start woodworking? I always enjoyed working with my hands since I was a young child. I started out with clay, but that became frustrating because no matter how hard I tried, I couldn’t get the outcome that I wanted. It wasn’t until a family member asked me to make her a birdhouse that I realized my talents. Soon after, I found myself crafting more birdhouses until it became almost too easy for me. After seeing a tree being cut down in my back yard, I was inspired to begin making furniture out of pieces that I could just collect in nature. 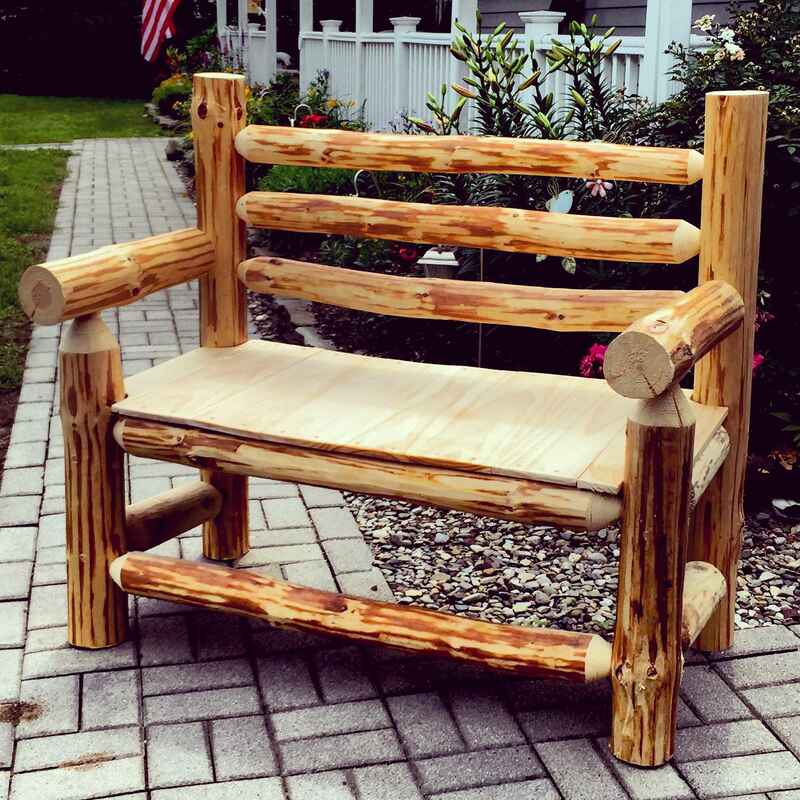 The feedback that my original work received inspired me to create my own woodworking company, Mountain Drift Woodworking, based in Monmouth County. What is my process for creating furniture? I always try to find inspiration somewhere, somehow. More often than not, I come across a fallen tree or a pile of branches and I immediately get an idea for a new project. 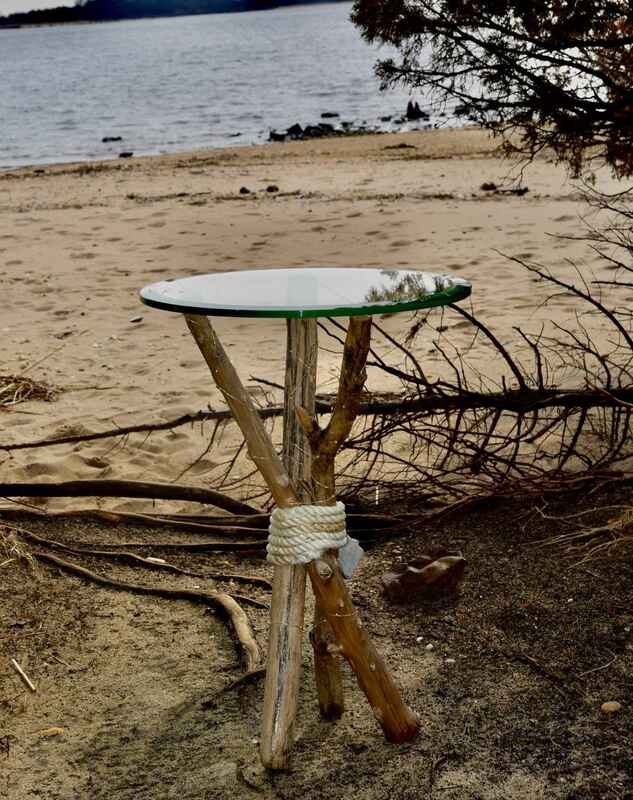 Ironically, when I was first introduced to Shore TV New Jersey, I immediately got an idea for a driftwood chair. I didn’t even have to see the pieces; just the description of the beaches got me thinking. 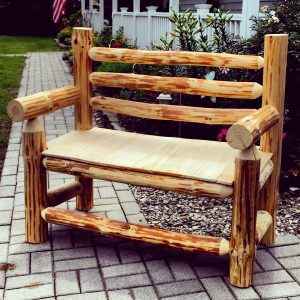 The above picture is of a pine bench that I was hired to make for a wedding reception. The initial collection is both fun and transcendent, but the actual building of the piece is the most rewarding. I make sure after consolidating what I collect, I have a clearer picture of what I can make. Essentially, I just go ahead and make whatever I see in my mind and worry about what it looks like later. In the case of the driftwood table, I simply cut the pieces to size, coat them in a lacquer, wrap them with some rope, and mount the glass. All said and done, the project took me an hour to complete. It is important to note that all of the wood that I use is taken legally; I only take loose pieces on the ground. My driftwood products, such as the table, are perfect for any house in the shore area. 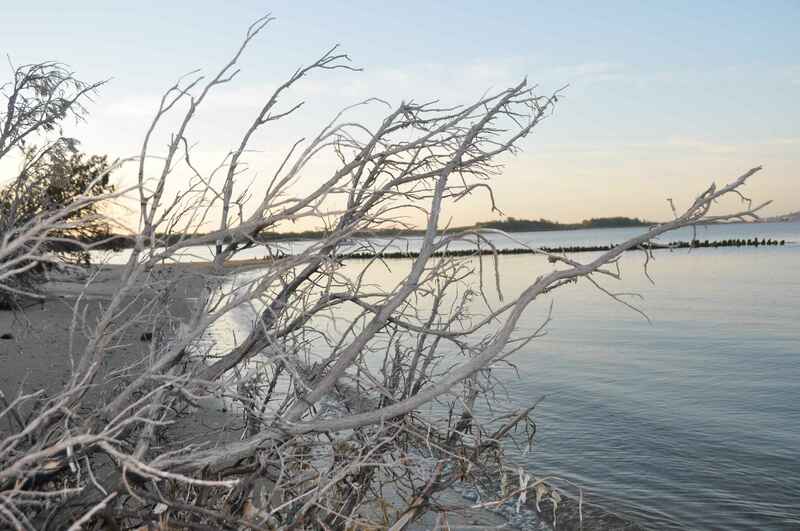 The authenticity of the driftwood gives you that feeling of being near the water. I style my Adirondack products for more lakeside settings, but they can essentially look great anywhere. This photo shows my favorite type of wood to use in my driftwood pieces. It has a great washed out look that has that Shore feel. I am self-taught. My work encapsulates my life growing up along the Shore in Monmouth County. I like to think that my work inspires others to tackle their passions, no matter how different they may be. The next time you walk along the Shore, take a second and think about the possibilities. Perhaps you will find your inspiration as well. 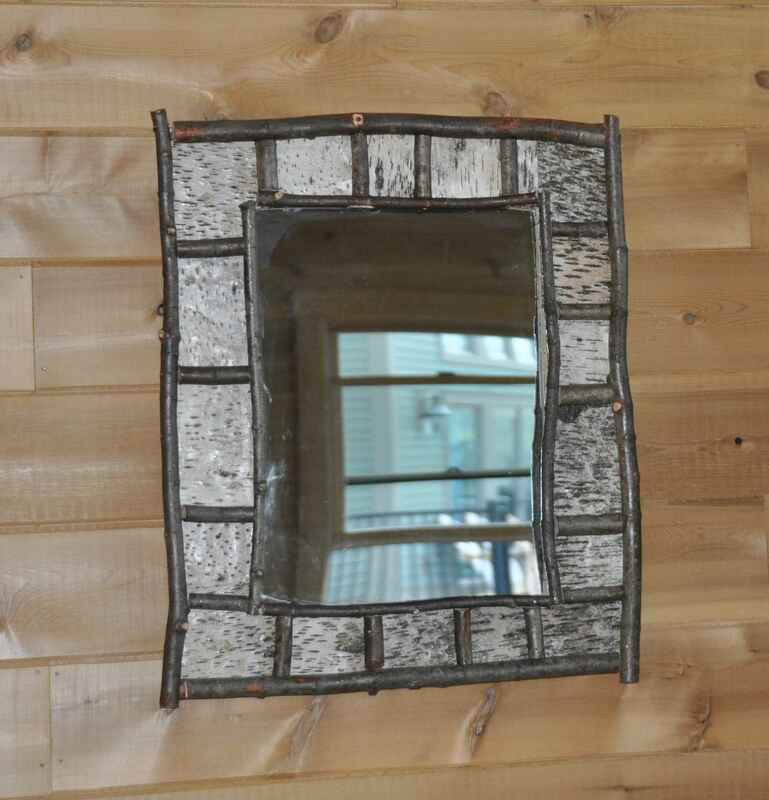 This is the first mirror I ever made. I spent hours carving bark from local birch trees. Have a favorite spot for inspiration? Share with ShoreTV New Jersey your favorite spots for inspiration in and around the Jersey Shore. Its beauty is one of the main reasons we proudly call this area home.